"Parents might believe this is one aspect they don't have to do because someone else will be doing it. But it's important those messages are shared across the board, not just from the club or Kick It Out, and they get the understanding that they can relay to their sons." Troy Townsend, of Kick It Out, was outlining the importance of the recent Academy Awareness weekend that took place around the country involving Premier League club academies from Under-9s up to Under-18s. 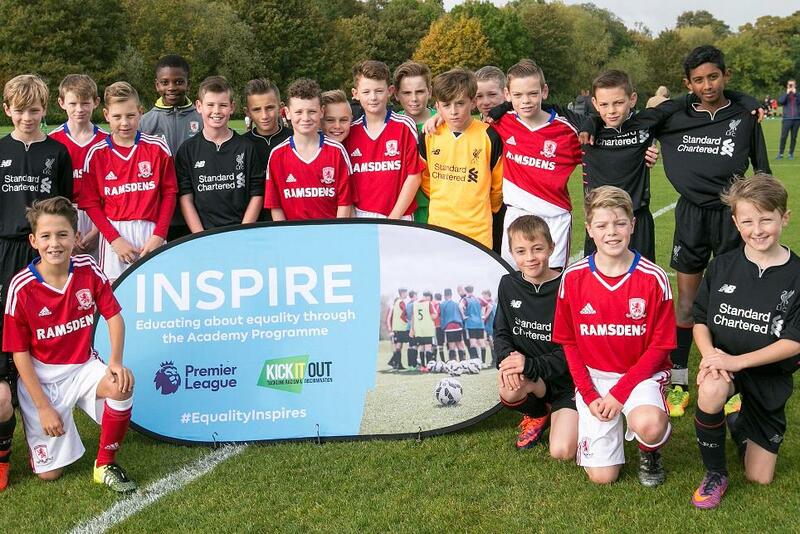 The weekend was part of the Equality Inspires Programme, launched by Kick It Out and the Premier League to deliver equality and inclusion training for everyone involved with the club academies, including club staff, players and their parents and guardians. "This is about saying, 'We want our players of the future to have values and principles that are really important'," said Martyn Heather, the Premier League's Head of Education. To learn more, watch the video above.